The new collaboration premiered on OVO Sound Radio last night. After working together on Drake's VIEWS single "One Dance" and Wizkid's “Ojuelegba” remix with Skepta, Drizzy and Wizkid have reunited with a new collaborative track called "Hush Up the Silence." The song debuted last night on episode 37 of OVO Sound Radio aired, which featured a guest mix from DJ Maximum from London's grime collective Boy Better Know. 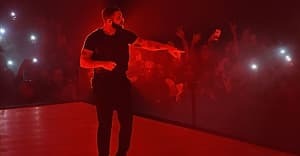 Just before the show turned over to Maximum, Oliver El-Khatib gave an update on Drake's "More Life" project, assuring fans that "everything’s moving along nicely" and then premiered the afro-beat influenced dance track. Tune in below at the 60:15 mark to listen.